The FBI report regarding Hillary Clinton’s Emails is but the tip of the iceberg. The Attorney General is a crony of the Clinton family and will not press charges against Hillary. The corporate media (with some exceptions) as well as sections of the alternative media are involved in a cover up with a view to supporting Hillary’s candidacy. Meanwhile, a process of smearing the FBI is already ongoing. Despite the FBI decision not to recommend an indictment on criminal charges, FBI Director James Comey nonetheless confirmed that there was “evidence of potential violations of the statutes regarding the handling of classified information”. Moreover, the FBI statement described Hillary Clinton as “extremely careless in … the handling of very sensitive, highly classified information”. Hillary’s reputation has been tainted. What kind of decision-making can we expect if Hillary Clinton were to be elected president of the United States? Do the American people want an “extremely careless” president who has been under prior investigation by the the FBI. Meanwhile, the Donald Trump campaign has gone into high gear to discredit Hillary Clinton. What is unfolding is a mudslinging campaign between Hillary and Donald. While the mainstream media continues to endorse Hillary, dismissing her alleged criminal record, Fox News (which constitutes America’s Right Mouthpiece) has gone into overdrive revealing the “secret” crony undertakings of the Clinton family as well as the scams of the Clinton foundation. It would appear that Fox News is now on the Trump side. Its reports reveal Hillary’s conflicts of interest as well as the criminal nature of the Clinton family. Judge Napolitano commenting on Fox News has provided an incisive review of some of Hillary’s crony undertakings. To View the Fox News program with Judge Napolitano click the image below or the hyperlink. Excerpts of the July 3 Fox news article are provided below. The interview with Judge Napolitano was in December 2015. The more fundamental question. What will be the outcome of the mudslinging campaign? Who will win the mudslinging campaign? Will the legitimacy of Hillary’s candidacy prevail from now until November. I have my doubts. And it is too late for the Democratic Party to envisage a Plan B. Hedge fund manager Marc Mezvinsky had friends in high places when he bet big on a Greek economic recovery, but even the keen interest of his mother-in-law, then-Secretary of State Hillary Clinton, wasn’t enough to spare him and his investors from financial tragedy. In 2012, Mezvinsky, the husband of Chelsea Clinton, created a $325 million basket of offshore funds under the Eaglevale Partners banner through a special arrangement with investment bank Goldman Sachs. The funds have lost tens of millions of dollars predicting that bailouts of the Greek banking system would pump up the value of the country’s distressed bonds. One fund, exclusively dedicated to Greek debt, suffered near-total losses. Clinton stepped down as secretary of state in 2013 to run for president. But newly released emails from 2012 show that she and Clinton Foundation consultant, Sidney Blumenthal, shared classified information about how German leadership viewed the prospects for a Greek bailout. 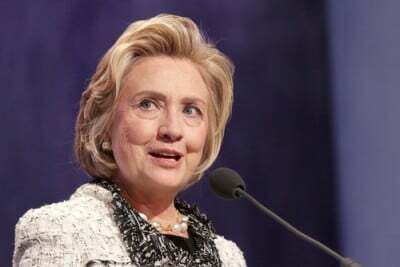 Clinton also shared “protected” State Department information about Greek bonds with her husband at the same time that her son-in-law aimed his hedge fund at Greece. A former Goldman Sachs broker himself, Mezvinsky formed Eaglevale Management with two ex-Goldman Sachs partners in October 2011. As a “global macro” firm, Eaglevale’s strategy is to seek profit opportunities in politically volatile situations. Mezvinsky set up several funds in the Cayman Islands, a secretive tax haven, with Goldman Sachs serving as Eaglevale’s prime broker and banker. The giant brokerage firm has a checkered history of manipulating the value of Greek debt to the detriment of Greece.